Alexis Sánchez has returned to the Manchester United squad to face Barcelona who recovered from an injury. 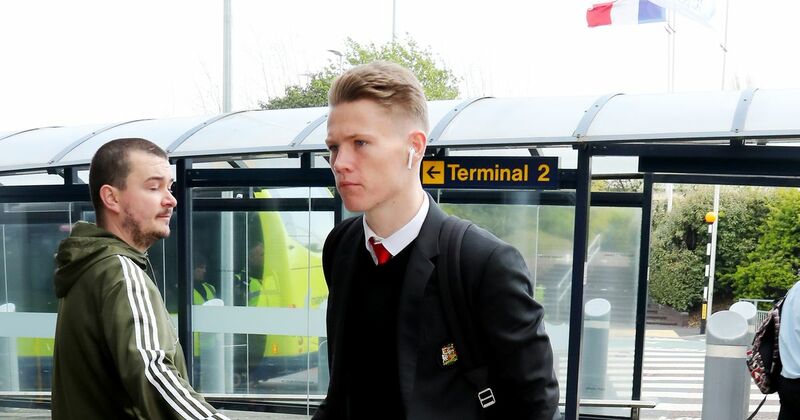 The Chilean has not shown up since he suffered knee ligament damage in the home win over Southampton in the league on March 2, but arrived at the Manchester airport with the rest of the team on Monday morning. They were preparing to fly to Spain. United will face Ernesto Valverde's team on Tuesday night at Camp Nou, in the second leg of the Champions League quarter-final, and will have to present another impressive comeback after Luke's own goal Shaw on Wednesday night gave the Catalan giants the advantage. Nemanja Matic also traveled with the team, so he could be available again for Ole Gunnar Solskjaer after missing the last three games of United. Ashley Young missed the victory against West Ham over the weekend through the suspension, but is available for the clash on Tuesday night and was seen with his teammates on Monday morning. Luke Shaw has traveled with the team, but can not play after the yellow card he picked up in the first leg on Wednesday, which means he is suspended for the second leg. Another player who has missed the trip is midfielder Ander Herrera, who has only played two of the last nine United games in all competitions. "Nemanja will definitely travel with us," Solskjaer said. "Ander will not do it, he will leave for a while". Former Manchester United manager Sir Alex Ferguson was also part of the United party that arrived at the airport, but Solskjaer insisted he would not use that infamous night in Barcelona in 1999 in his chat with the team. "No, I will not because it was against Bayern Munich, it was a final, it was different". Solskjaer responded when asked if he would talk to his players about the 1999 comeback. "We will use the PSG (match), we will use Juventus away, we have defeated some good teams away from home this year and we played against some great players." We had (Barcelona) nervous sometimes here too. Yes, they controlled the game towards the end, they had possession, but they never bothered us in our own half. " Goalkeepers: De Gea, Romero, Subsidy. * Luke Shaw is suspended so he can not play.